Southwest Gran Canaria is famous for its climate. It’s the best this holiday island has to offer, combining the warmth of the south with the clear skies of the west. It’s also home to Arguineguín, a traditional fishing village turned minor resort, which, for decades, has served as a production line for top-class footballers. We’re talking the likes of Juan Carlos Valerón. Aka El Flaco, the Thin One. Time was, though, when Juan Carlos wasn’t considered the best footballer in his own family, let alone on the island. The accolade of best footballing Valerón went to older brother Miguel Ángel. 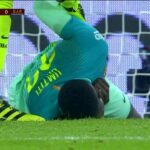 Who knows what the then-UD Las Palmas midfielder could have achieved in the game had Barcelona right-back Albert Chapi Ferrer not effectively ended the elder Valerón career. Humiliated all game in a 1997 Copa del Rey tie at the Camp Nou between the Catalans and Canary Islanders, Ferrer stopped Valerón the only way you can stop a skillful player— with a lunging scythe, which shockingly only warranted a yellow card. Exit Miguel Ángel on a stretcher, flanked by Cruz Roja (Red Cross) volunteers. Valerón the younger went on to win the Copa del Rey and SuperCopa España (twice) with Galicia’s Deportivo de La Coruña, along with make a near half-century of appearances for the Spain national side which would have been more but for an injury-plagued career. 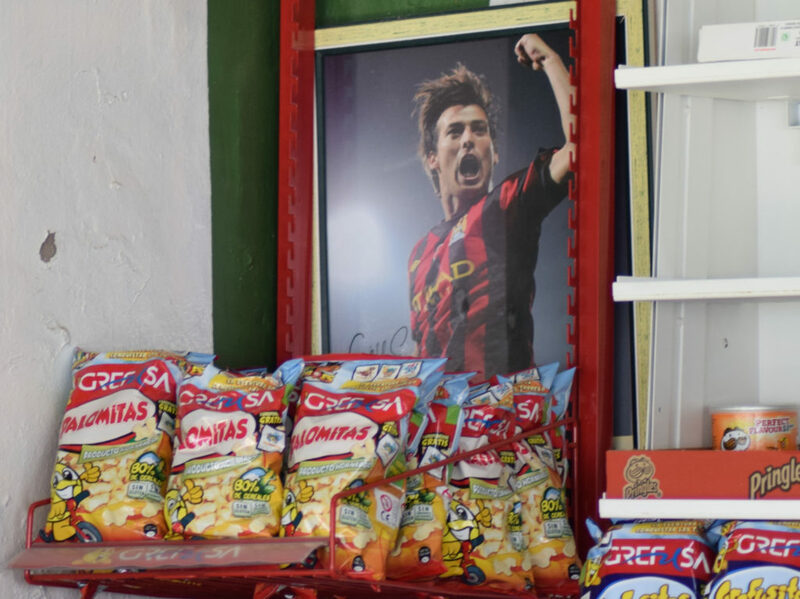 Even more celebrated in these parts, however, is David Silva. He grew up juggling oranges and potatoes in the street outside the family home owned by his grandparents. It’s a house I could inadvertently pass by as I find myself in Arguineguín on a surprisingly overcast Saturday in early March. 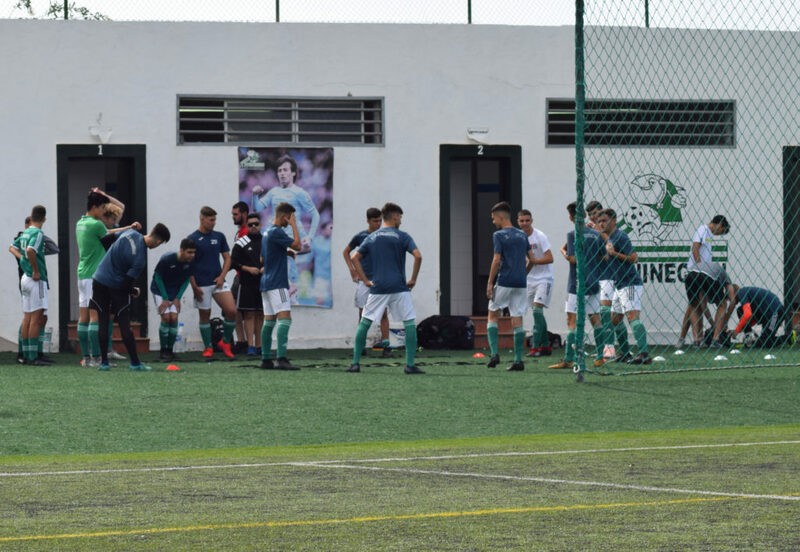 Ostensibly, I’m here to watch my 15-year-old son Alex play for Real Club Victoria side in their away Cadete Preferente clash with CD Arguineguín. Indeed, I’ve travelled on the team bus in my role as unofficial club photographer. However, I leave Victoria to their pre-match preparations and go for a mosey around town. Which is how I end up having my daily carajillo (a shot of strong black coffee combined with a slug of cognac) in Bar Cafetería Las Marañuelas, above the palm-fringed beach of the same name. 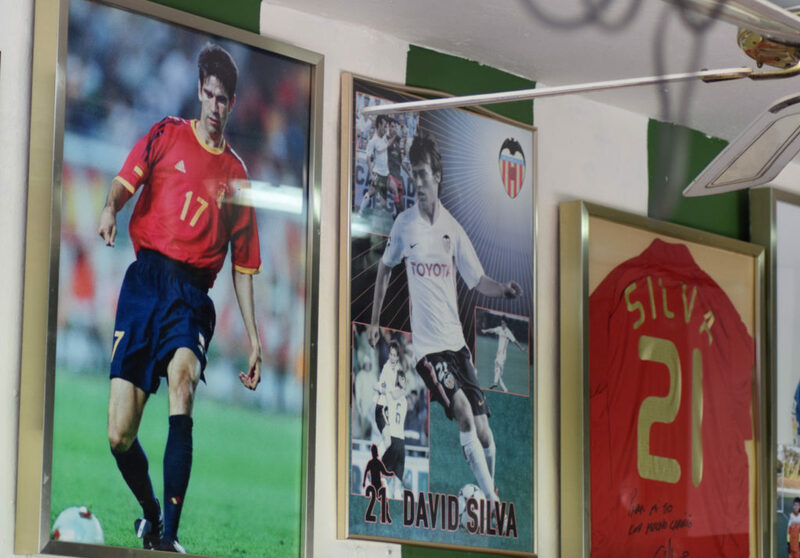 The walls are plastered with Silva memorabilia and the owner tells me that her grandfather’s a cousin of the Manchester City star’s abuelo. Later, when I recount this anecdote to fellow Victoria parents over a halftime caña (approximate half pint) of local brew Tropical, they joke that everybody in Arguineguín claims to be related to Silva. The day starts to brighten as I head back to the Estadio Municipal for the midday kickoff. 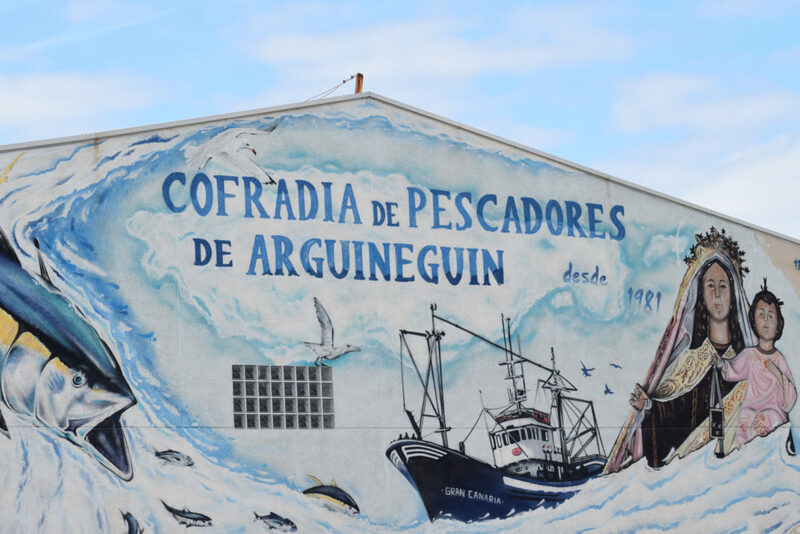 I pass the Cofradía de los Pescadores, the fisherman’s guild, whose restaurant is the best place to enjoy the catch of the day. I also walk past the so-called craft market (mercado artesanal), which is actually more flea market (rastro). Silva himself would leave CD Arguineguín to play for Maspalomas’ San Fernando— Valerón had headed north before him, to Castillo CF— before being rejected by Real Madrid (for being too small at age 12) and again later in his career by Arsenal. He was eventually signed by Valencia and took the 21 shirt as a homage to his hero Valerón. Silva plans on ending as a pro with UD Las Palmas, and there’s already a statue to the island’s favourite football son outside their stadium— although, to me, it looks more like Messi. 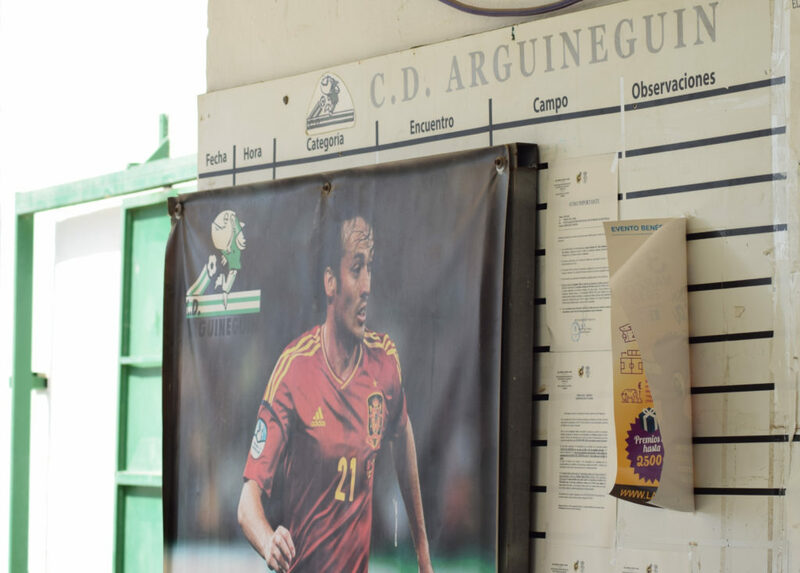 There are more faithful tributes at Arguineguín’s Estadio Municipal with photographs of Silva, which could have reasonably been taken from a giant scrapbook. I also spot snaps of Valerón and Aythami Artiles, another local boy done good who currently plys his trade for UD Las Palmas in Spain’s second flight. 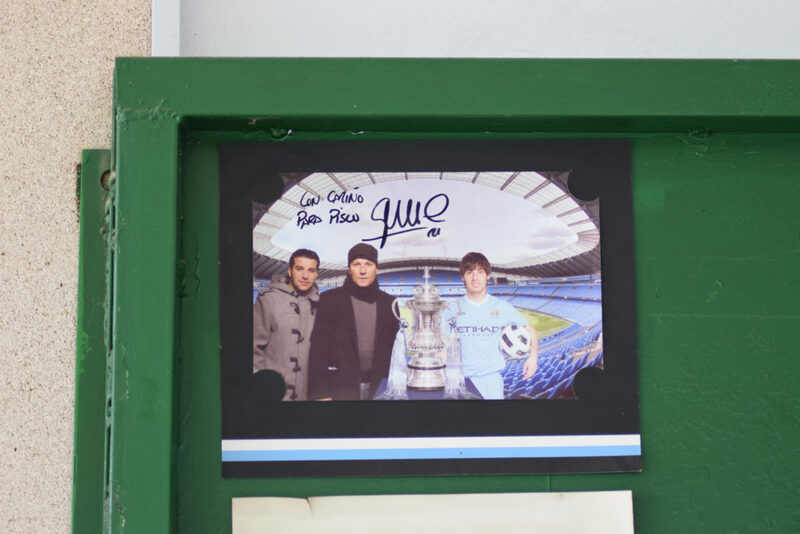 The photos are in better condition than the stadium’s paintwork, which has started to peel in places. The Estadio Municipal’s flanked by a banana plantation, beach, and a cement factory. 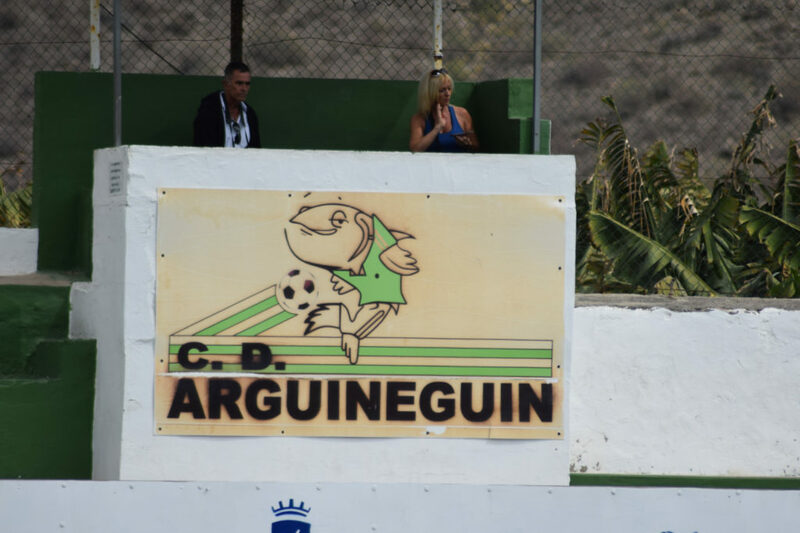 The first two of these landmarks offers insights into why Arguineguín has flourished as a manufacturer of professional footballers. The sub-tropical climate means that children can play day and night, with the beach doubling as a pitch. In the UK, professional teams tend to use the beach in pre-season training. It’s very good for building up the ankles apparently. But in Arguineguín, footballers use it all year round, and playing on the playa also influences their technique with a flamboyant Brazilian style developed over a more conservative European one. With kick-off of Alex’s match approaching, I take up my touchline position; camera in hand. Lowly Arguineguín stun upper-table Victoria with a goal so early it catches my centre-back Alex and his fellow defenders napping. Then it’s all Victoria; tricky left winger Samu scores a spectacular scorpion-kick, a la Giroud. Victoria continue the onslaught in the second half but can’t find a way past some inspired goalkeeping. The game finishes 1-1 but there’s plenty of talent on show, on both sides. Maybe I’ve just watched Silva’s successor in action. 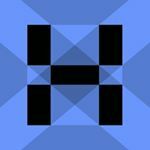 Former deputy editor of The Official Chelsea Magazine, Matthew Hirtes is the author of half relocation journal and 50% quirky travel guide Going Local in Gran Canaria as well as Telegraph Travel’s man in Las Palmas Province. 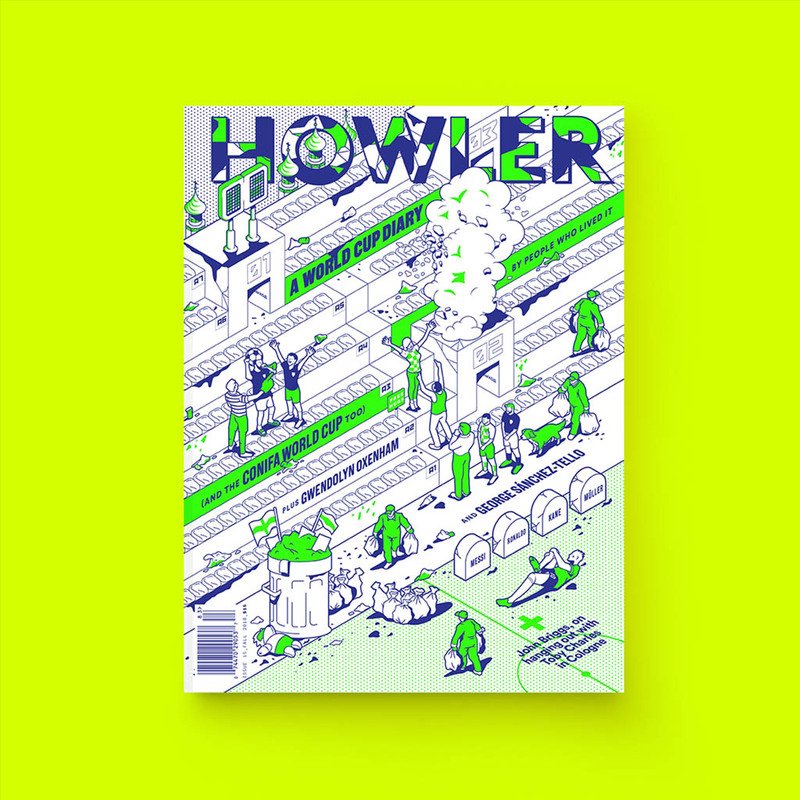 Follow him on Twitter at @MatthewHirtes.